Hi Karena! 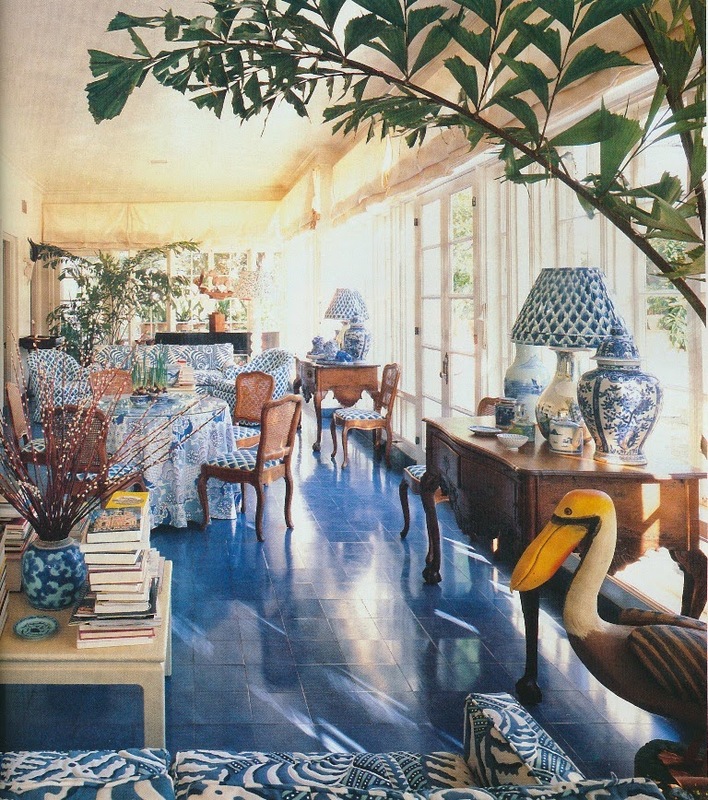 The blue sunroom is truly fabulous. I see Gordon Little is represented here. Oh thank you, Jennifer. Aaaahhh, I can breathe again, after being greiged to DEATH with today's neutral (read boring) colours. Luckily, it's just a phase and everyone will eventually come to their senses and embrace colour again. Thanks for the infusion! I believe that the pendulum is starting to swing back towards the direction of color. At least, I hope so. All of these rooms are lovely. If we were to take out the last room's wall-to-wall carpet and replace it with a sea grass or sisal every designer under 40 would be "all over it". Linda, Excellent point. 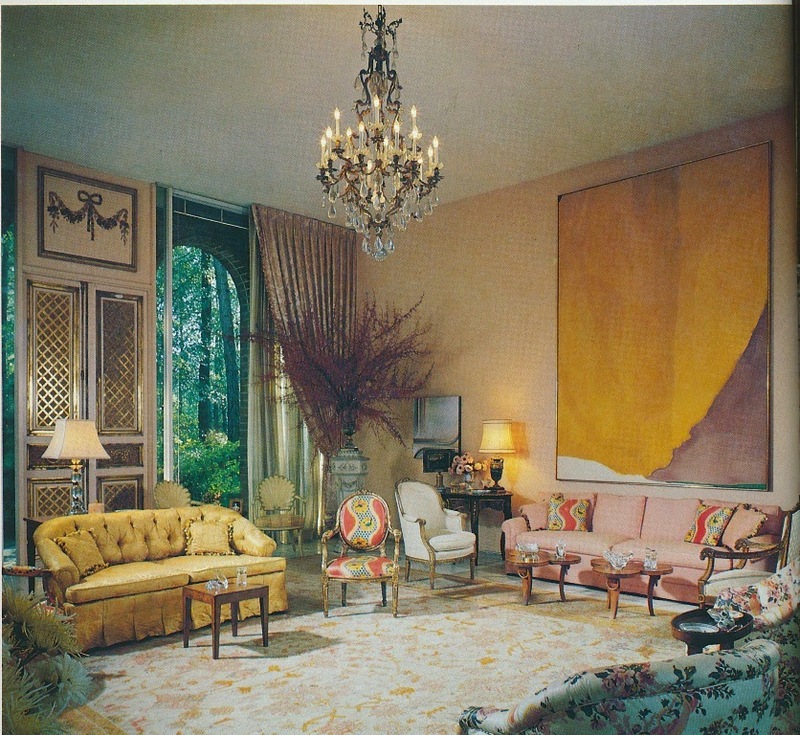 I'm glad you could see past that wall-to-wall carpet and see the timelessness of this room! Mary, I agree. Color can breathe such life into a room! 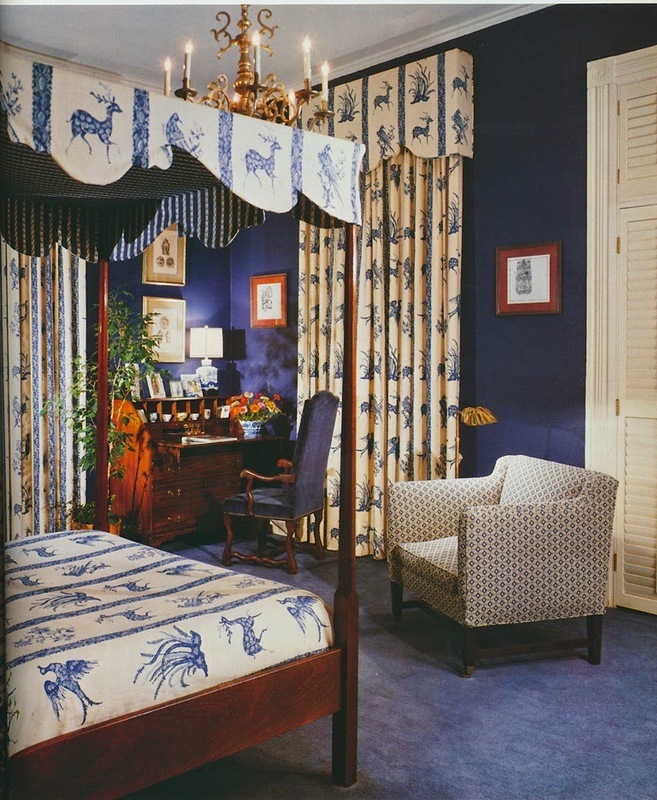 I love your cooking reference here, " I chose these particular rooms for either their vivid colors or the great printed fabrics that seasoned them" - so apropos to any well rounded composition, be it room or plate! I think you stated it better than I did! Seasoning is important to a well-rounded composition. "Give me no gravy" - still true for me. I love these rooms, and I'm saving the first room in my inspiration file for my next home! This look is so at home in Georgia. Only need to bring out the silver service tea set. If I only have one life to live I don't want it in beige and gray! Prints bring so much life to any room and I find that reading this blog is so encouraging. Connie, Oh yes, we need to bring back (or at least, keep alive) the silver tea set! I miss seeing those too. I'm a fan of keeping color in the south!! Hope your travels were great! Laura, You certainly know how to decorate with color. I love the way you use vibrant fabrics and colors! Look at that fabulous Plaza Towers living room! 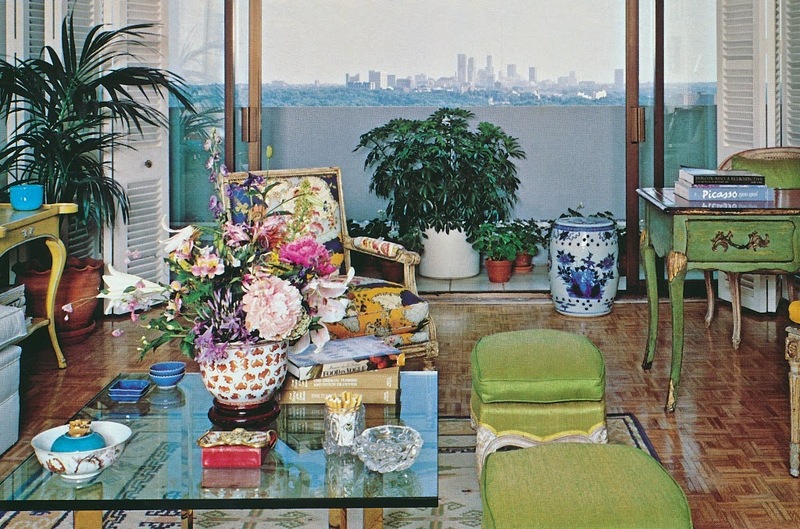 Yes, and I wish that my Plaza Towers living room looked just like that top photo! These rooms are truly elegant and remain timeless.......... I am SO OVER seagrass and sisal!!! I think decorator's today seem obsessed with it, and because it has been so overly done, to me it is now "out of fashion." 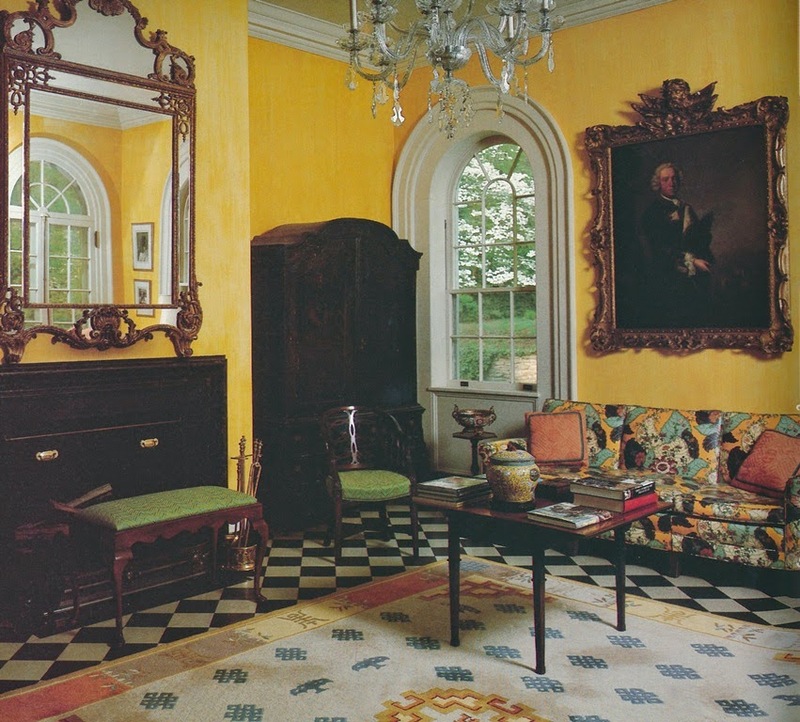 Muted oushak's are much more elegant than sisal, to "tone down a room." Great photos Jennifer, especially the second from the top, I love that look of contemporary art with beautiful antiques. Jennifer, we loved having you visit Memphis. Certainly the light has a lot to do with it, but it also takes a keen eye and judicious hand to successfully pull off a neutral look. If there isn't a play of textures, a pleasing arrangement of shapes, and/or architectural detailing, the results are just blah. DITTO! 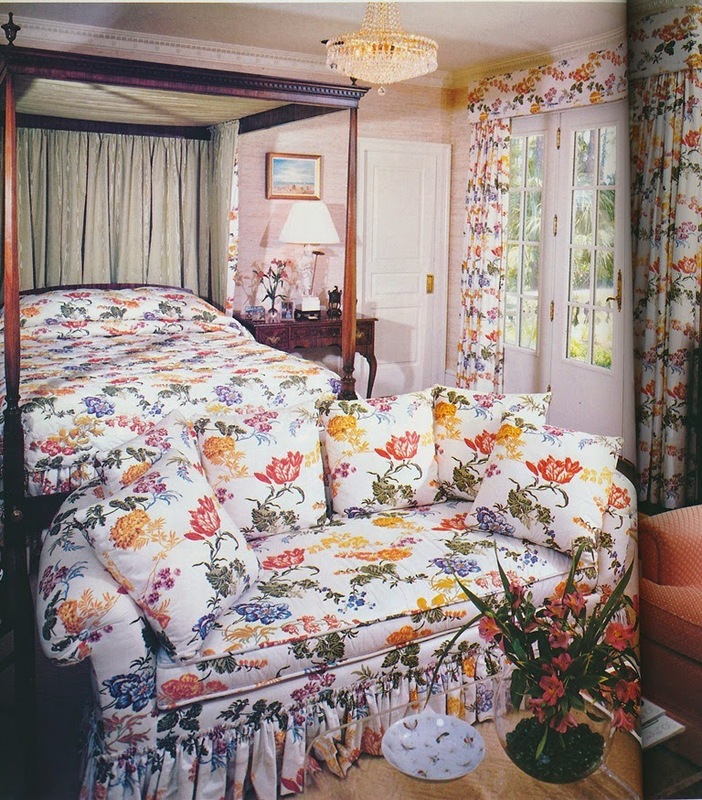 What would the Prince of Chintz say ? I couldn't have said it better. Remember that old Clairol commercial? The one that said, "If I've only one life, let me live it as a blonde!" I feel that way about color. Soon enough it will all be over, and I for one prefer to live with exuberance and color and pattern. Welcome home to where the people are friendly and we live in colouring books. At least some of us do. When little trick or treaters say "I love your house" it's the colors they see. Neutral beige never fit my personality. In with the old. Make it colorful. My grandparents have always collected gorgeous antiques. Those items have followed them from Williamsburg to Kansas (Korean War detour! ), Charlotte to Coral Gables and back to Virginia now. They include bright citrine velvet club chairs, cherry red sofa, bright blue china and coordinating furnishings, and bold shamrock green. 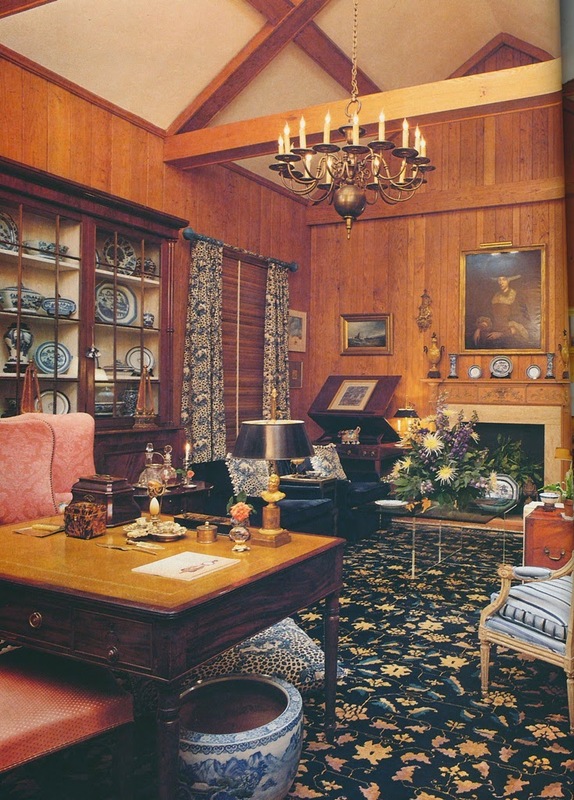 But, they mellow out with the wood antiques and balance them out with cheerful wallpapers and curtains. It really is gorgeous and has moved from home to home with ease - regardless of layout and arrangement!